This little bundle of joy is being as playful as can be at his foster's house! He is used to having other dogs and even cats around and is ready to snuggle up in your arms! 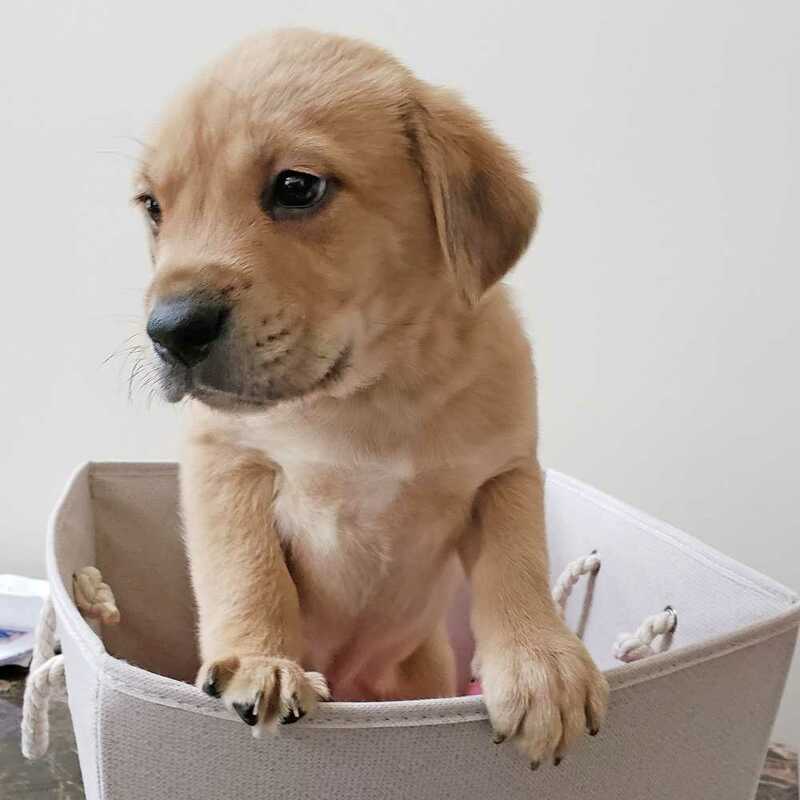 We think he is a yellow labrador retriever mix based on the mom, but we know for certain that he is extremely cute! Want to adopt Thumper? If you are viewing this bio listing on Petstablished, click the ADOPT button to fill out our adoption application. If you are viewing this bio on another pet adoption site, please click on the link that follows or copy and paste the Dog Adoption Application link into your browser and then choose "Thumper" from the dropdown menu of adoptable dogs: https://www.petstablished.com/adoption_form/11685/generic.